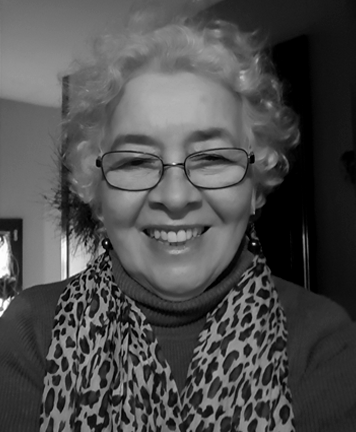 Gladys M. Jiménez-Muñoz is an Associate Professor and Director of the Undergraduate Studies Program in the Sociology Department at Binghamton University. She has a PhD in U.S. Women’s History from Binghamton University, 1994. She was a Gaius Charles Bolin Fellow in History at Williams College,1992; a Ford Foundation Post-Doctoral Fellow, 1998 and President of the Puerto Rican Studies Association, 2009-10. She has published numerous articles on race and representation among Latinas; Puerto Rican women’s history; Puerto Rican Popular culture and Nuyorican artistic production. She is currently working on two manuscripts: “A Storm Dressed in Skirts”: Race and Women’s Suffrage in Puerto Rico, 1898-1929 and Womanhood, Race, and the National Question in Interwar Puerto Rico. Before Professor Jiménez came to academia she was a public school teacher in Puerto Rico working in schools located in some of the most socially-economically depressed areas in San Juan. She was also a union organizer and a founding member of “Encuentro de Mujeres,” a feminist activist group that organized workshops on popular education, anti-sexist, anti-homophobia and trans-gender issues in poor communities in San Juan during the 1980s.